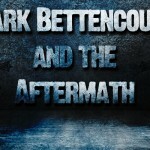 Mark Bettencourt and the Aftermath is probably the highest energy band you will ever see. Lead vocalist Mark Bettencourt brilliantly covers songs that you forgot you loved! The Band hails from the now famous Silicon Valley. You may have experienced the Aftermath at one of their many prestigious events such as: The San Jose Grand Prix, Rotary club events, Street Fairs, Corporate events, Yacht clubs as well a many local music bars and night clubs. But no matter where you choose to come experience the band, you will be guaranteed to be taken back to a place where you can unplug and just enjoy yourself! We consider ourselves among the luckiest to know who we know and to do what we do. Thank you!